The game everyone loves to play on road trips! Can you match five signs in a line? This game features over 200 different signs and millions of randomly-generated game boards. 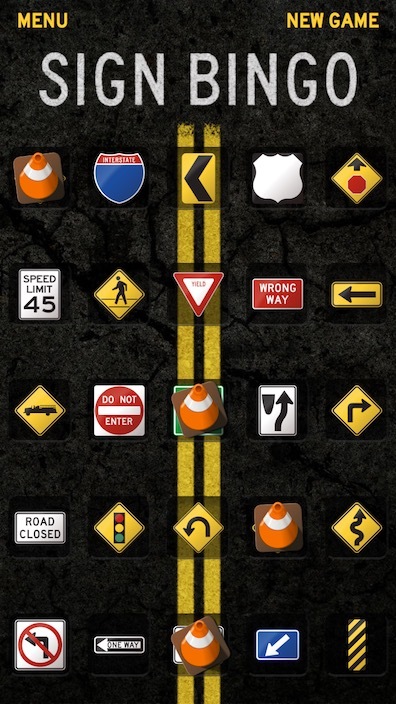 You can also choose which signs are used to customize the game to where you drive the most. Need help? Have a suggestion? Send us a message!